Feel like rolling over in the morning and waking up with Biz Markie? Well now you can, in the shape of this rather nifty alarm clock from purveyors of rather trendy urbanwear Ecko. 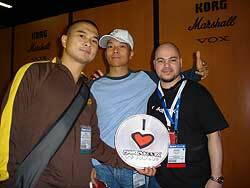 Yogafrog, QBert and Johnny Juice welcome you to day 3 at NAMM. Like it or not, digital DJ technology is here and it's influence is everywhere. DMC have realised this and want to know what you really think about adopting CD decks into the DMC battles. A special forum has been set up to allow you to voice your opinions and have a small say in the future direction of the competition with regards to CD decks. There's also a survey to take part in to win a pair of Technics headphones. Pioneer DJM-707 - Dead or alive? More hot pre NAMM announcements - this time from Soundcraft. Not only is the classic Urei, 1620 mixer being re-released in a limited edition, the Urei name now also boasts 2 new scratch mixers - the 1601 and 1601s. While may be dedicated to all things scratchy, it's fair to say the we have developed a rep for being an all round fave for all styles of DJ. So when Pioneer sent me information of their latest batch of gear, I felt it my duty to cater for our minority visitors. 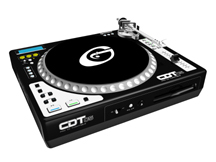 So I present for you the CDJ-200 - the non-scratching baby sibling of the CDJ800 and 1000. Plus the DJM-1000 - the new �ber mixer with far too many channels for it's own good. 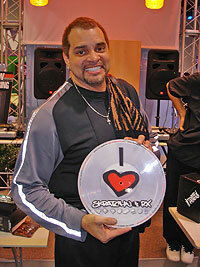 The Eclectic Breaks roadshow heads stateside, this time taking their new Pro X Fade fader technology to NAMM 2005. First shown in the UK at PLASA 2004, the Pro X Fade will be on display on the Seltron Components Ltd. stand, Booth # 1784 in Hall E. Also on display will be their new does everything goes anywhere DJ bag. 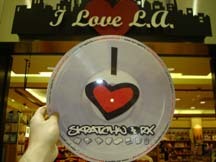 I urge you to go check them out, if only to see if the UK's DJ 2Tall really does live up to his name. eBay is a wonderful thing - yet is a vile temptress that manages to empty hard earned cash from our meagre bank balances. 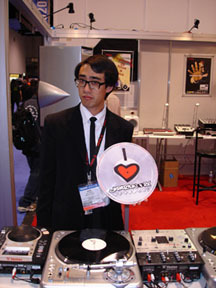 So please spare a thought for Deft, for he is such a victim - in the shape of Stanton's newer scratch mixer the SA-5. So you've read the review, now buy the box. After reading my CDX-05 review, you'll obviously all be wanting to rush out and grab one - but don't forget to keep it safe in this Swan Flightcases custom made official Vestax case. As ever, another review that has been a long time in coming but at last I'm happy to unleash my Vestax CDX-05 and Tascam TT-M1 review. To keep your expensive investment safe, Vestax UK in conjunction with Swan Flightcases have produced a high quality case especially for your beloved QFO. No, it's not the latest sartorial addition to the Vestax clothing range, it is in fact a strap so you can carry your QFO around - at least as far as the power cable will stretch to anyway.